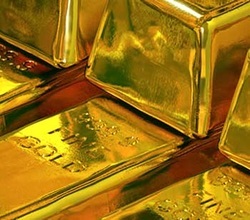 Have you ever wondered why gold is so precious and sought after? Apart from the fact that is doesn't degrade or rust of course. It is created, and only created in the last dying seconds of a stars life, when a supernova of extreme heat is happening. The explosion is only hot enough to create gold in the very heart of the star, for around a minute and supernovas only happen about once a century, making gold extremely rare. Through the death of a sun gold is made, and shot out at great speed, which is how we have some on Earth, and this is very same way life was created on our planet. When the building blocks of life arrived on Earth from a star. The story of the origin of the chemical building blocks of life is magickal and amazing. The ingredients were created in the hearts of ancient suns, thrown out into the universe at their deaths and eventually brought back together to form our solar system. The elements we hold most precious were forged at the moment of cosmic alchemy during stellar deaths. Through the vast cycle of magnificent cosmic death and rebirth. Like a Phoenix rising from the ashes to create new life, our bodies when we die return to the universe, ready to create new life. How wonderful to be part of this grand cosmic play, each of us a tiny part of something majestic and wonderful. We are all made from stars, we all come from the stars, and we all have a spark of the sun we came from inside our hearts, waiting to be ignited when we become Theolalites.